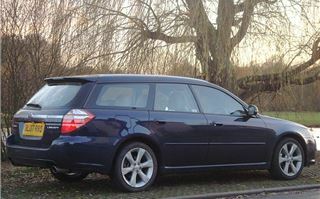 The Subaru Legacy 2.5 Sports Tourer tested here was actually the wrong car. 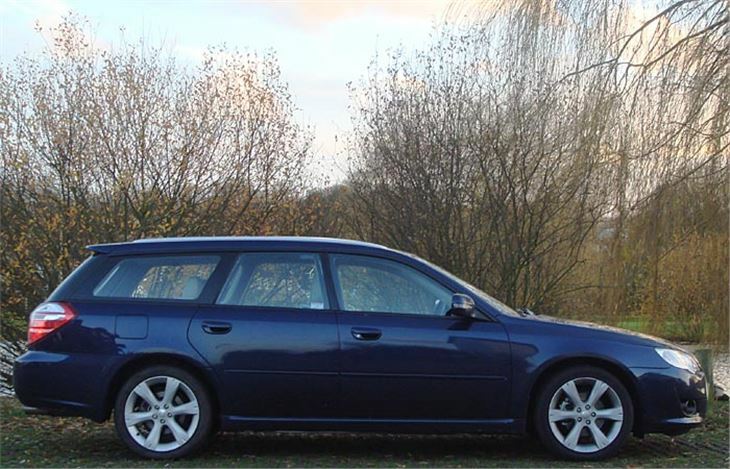 I’d been mightily impressed by a brief driver in a 245PS Subaru Legacy Spec B automatic. Three levels of power output, paddle-shifting five speed autobox. Fantastic. A great big WRX STI. So I’d ordered one to road test. The driver delivered it and collected the previous week’s Rodeo while I pounded away at my keyboard. So it wasn’t until I went out to the car that I began to suspect something was up. 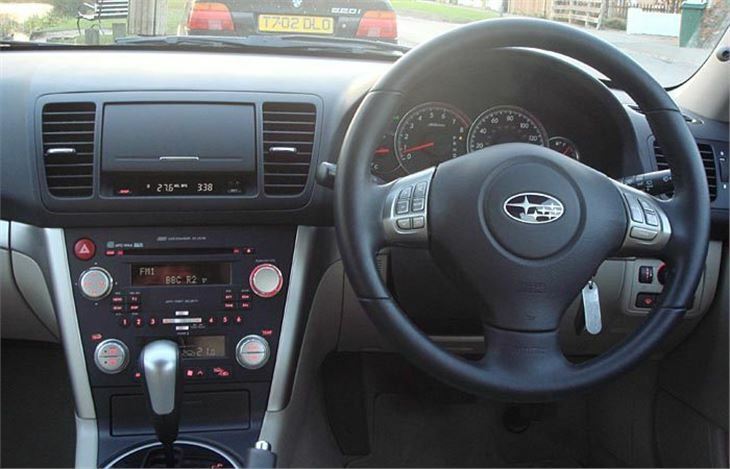 Er, nothing behind the steering wheel. Up the creek without a paddleshift, you might say. And it didn’t go like a 245PS 3.0 litre flat six either. While I was taking my snaps I popped the bonnet and counted the spark plug leads. One, two, three, fourthat’s it. I obviously hadn’t got a Spec B, then? 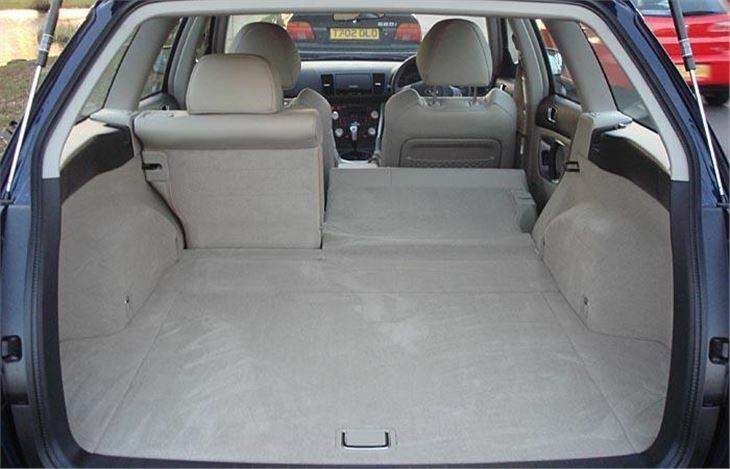 I opened the package that came with it and found it described on the insurance doc as a “2.5 Sports Tourer auto”. 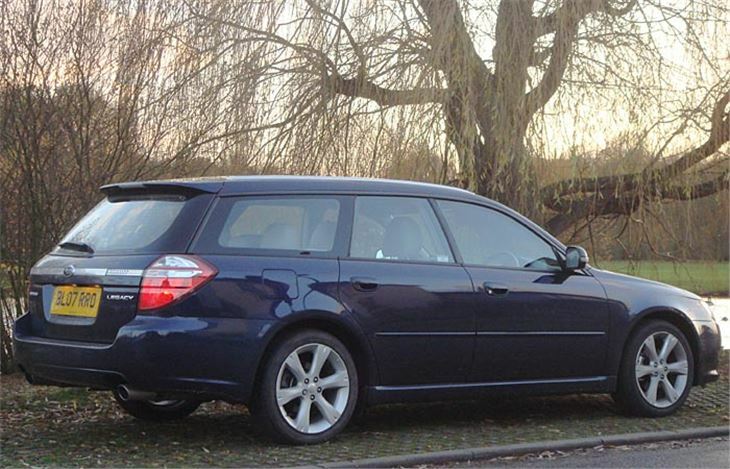 The mystery deepend, because they’re not supposed to do a 2.5 Sports Tourer. 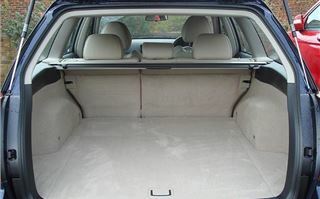 That was dropped when they upped the power of the 2.0 litre to 165PS. Sure the 2.5 continued in the Outback. But this wasn’t an Outback. Eventually I got this cleared up. 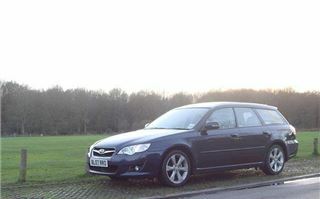 It was, in fact, a 2008 model year 2.5, now with power upped lightly to 173PS and back on the price list. Power of the 2.0 has now come down to the same 150PS as the Impreza, and torque up to 144.6lb ft, making that engine more tractable. Okay, then, judge it on its own merits. Up against a Mondeo estate or a Honda Accord Tourer, or a Volvo V70. But with all-wheel-drive instead of just the two at the front. Drives quite sweetly. Locks into cruise control well. Corners tidily, though, as with an Audi quattro, you need to power out of the apex or it will understeer. Feels like there’s a decent car underneath. 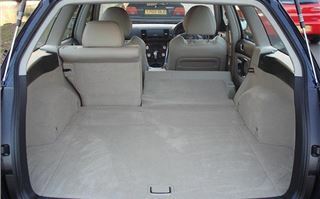 I thought I’d test it out on my 17-year-old Thai houskeeper, who was used to my long-term CR-V, on a shopping trip to Tesco. It made a good impression. She much preferred it. Liked the colours inside and the twinkling red LEDs on the instrument display. 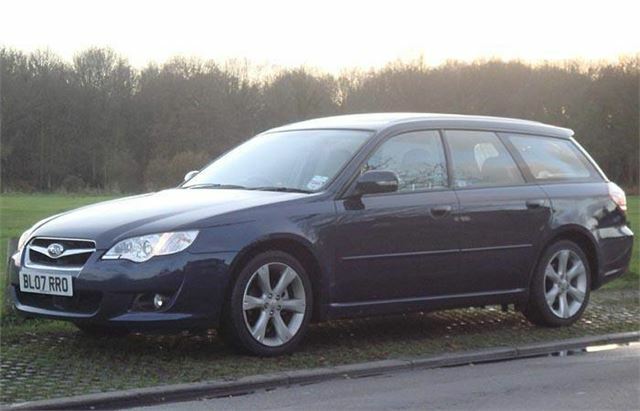 So for someone who doesn’t know cars the Legacy made it on the status stakes as a superior machine to an SUV. And it was pleasant to tool around town in with its flat four torque characteristics nicely matched to the 4-speed autobox. Apparently more economical then the manual, probably because of the manual’s lower gearing. In the background I could hear the same subdued food mixer like whirring engine note that Legacys have always made. 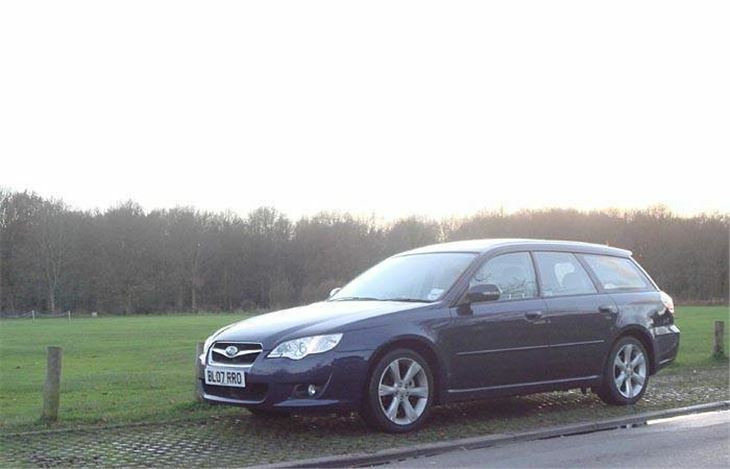 If you need a big four-wheel-drive estate car, the Legacy is not only a decent machine in itself, it undercuts all the potential alternatives. 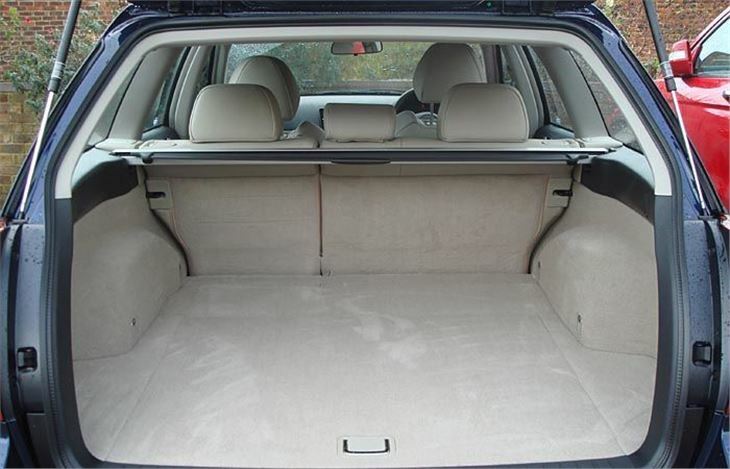 And it’s an excellent station wagon, worth considering against a Volvo V70 as well as an XC70. But, though it may sound liker a Kenwood Chef, it doesn’t stir the blood, like the 245PS spec B. I guess I’m going to have to ask again for one of them.